Of course The Order:1886 has pre-order DLC! 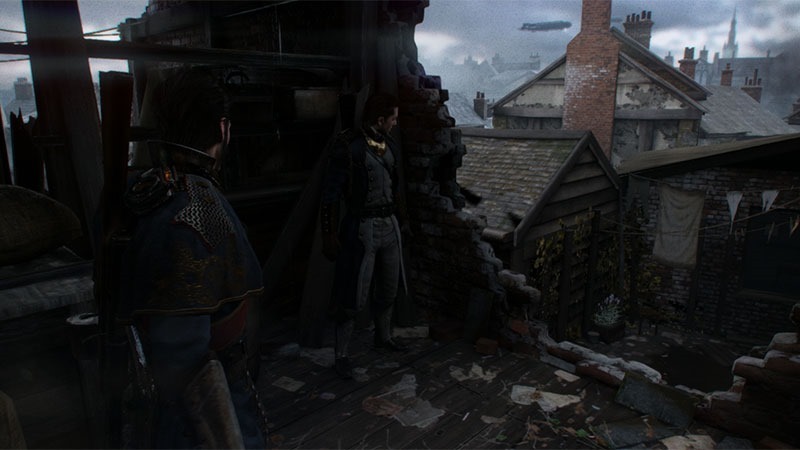 The Order: 1886, from Daxter and Ghost of Sparta developer Ready at Dawn is nearly upon us. It’s a graphical showcase for the PlayStation 4 – even if it is 30 frames per second, sandwiched between two black bars. The game’s set for release in the third week of February, and thankfully, it looks like it’ll make that date. It’s gone gold. Now that the game’s ready to go, it’s obviously time to start talking up pre-order DLC – a scourge that The Order isn’t safe from. Players who pre-order the game will get the Knight’s Arsenal and Knight’s Endurance Pack pre-order DLC, which allows players to equip Knight of The Order Galahad with alternate Knight Uniforms, and give him a handful of new weapons. . When the game was first announced, it blew people’s faces open – but as time has gone on, and hands-on previews emerged, that initial excitement has waned. I’m still rather bullish for the game – especially since going hands-on with it myself. A recent, stylized atory-focused trailer helped re-ignite a little interest, but only a little. Expect much more information, trailers and teases as we approach the games release though. I’m rather excited to save a Victorian London from a werewolf infestation.